So, is this social media stuff worth it? So, I have posted on this blog for a little bit now. My goal from the start was to provide a venue for folks to consider means for taking Museums and/or Archaeology to the public. So from a modest start I am seeing a respectable number of hits for each post. However, I also know that the number of hits and comments is really not the true measure of whether a blog is meeting its intended purpose. 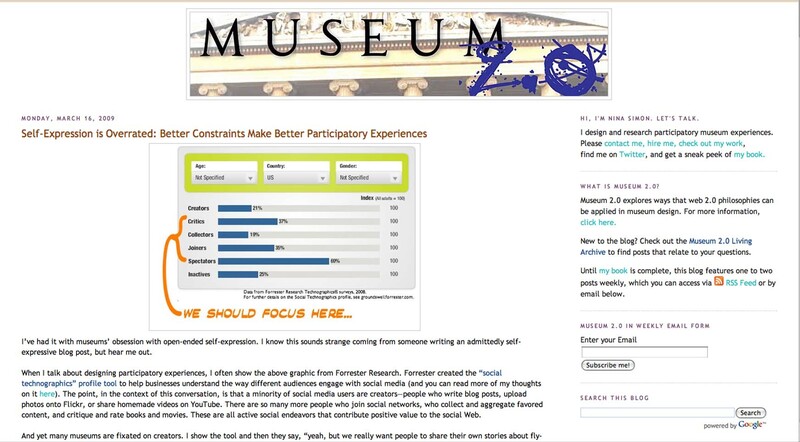 I have written before that I religiously follow Nina Simon’s blog at Museum 2.0. So if my loyalty is any indication, Nina’s experience at Museum 2.0 might prove useful. I dropped her a note and she pointed me to a couple of posts. The first post is from about a year ago on her own Museum 2.0 blog. The thrust of the post Nina pointed me to is not unlike another Museum 2.0 post on overrating self-expression in museums. Simply, in the same way that the majority of folks want to go into a museum to observe and not create, the same for blogs. She notes seven comments left from over 10,000 unique user hits. Quite a dismal rate, if comments is what you are after! 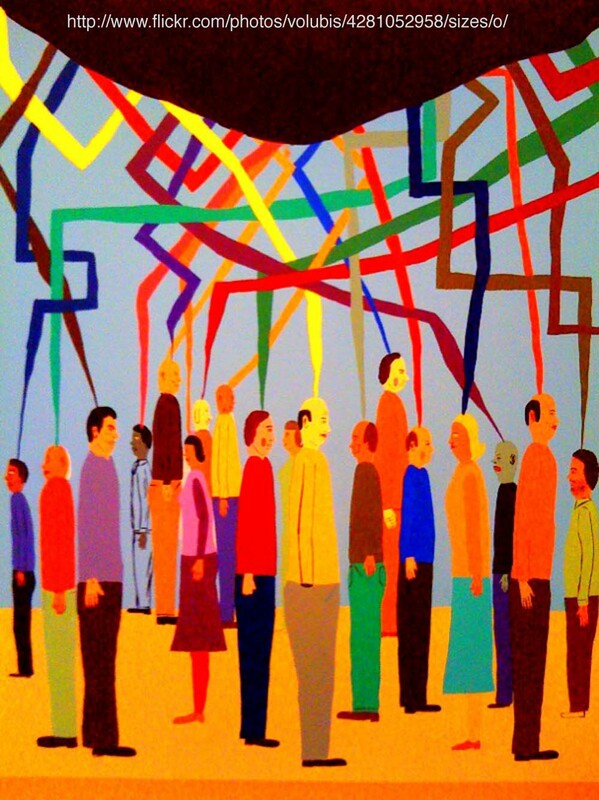 She also pointed me to a post on Beth Kanter’s blog dealing with metrics and evaluations – How Nonprofit Organizations Can Use Social Media to Power Social Networks for Change. The post is quite helpful with a ton of good stuff found within. The punch line on all of this for me is that if we are going to spend the energy to move toward Social Media or even just Web 2.0 to reach out to the public in promoting Archaeology and Museums, then we should really have some way of measuring the worth – not just doing it because it seems cost-effective when postage stamps and printing continue to climb in price. Read what Nina has to say about blog comments and what she sees that blogs are really able to do. Beth provides a ton of resources for measuring the effectiveness of measures such as “audience growth” and “authority.” At the C.H. Nash Museum I am quite pleased at the return on our input in social media as measured by site hits and the “word-of-mouth” authority type measures such as Google Alert and Technorati (both discussed in Beth’s post). Is it time for you to assess your digital media efforts to date? Take a look at posts from Nina and Beth for some ideas. In today’s post we have a Q & A with Andy Sawyer, Site Manager of the SunWatch Indian Village and Archaeological Park, near Dayton, Ohio. I have long been impressed that SunWatch runs an effective outreach program and now leads the way in the inclusion of descendent voices in the programming of the site. I asked Andy to share a bit about himself and the SunWatch program. Tell us a bit about your own background and your overall responsibilities at SunWatch. What do you consider your most successful recent effort to bring the surrounding community to SunWatch? One of the things about a small museum such as ours is that we do not have the space or the funding to bring in many traveling exhibits. Thanks to the support of local donors, however, since 2007 we have offered an annual presentation series that covers topics of local and national interest on archaeology and issues important to the American Indian community. Our first series in 2007 averaged 42 people per presentation and in 2009 we averaged 92 people per presentation. We just started our fourth presentation series a few weeks ago and the attendance was 94. These series have given us a chance to offer something new to the visitors. That’s a pretty impressive increase in attendance. How do you account for the success? We have focused on unique topics and have been lucky to have supportive donors that have allowed us to keep new subject matter on the table. We also have “word of mouth” promoting as we have numerous regulars to the series over the last few years that share with folks they know and bring new people out. Also, I really think targeting the groups that have an interest in specific presentations or topics is a good strategy. And of course, offering these programs free of charge doesn’t hurt either. What has been your experience in being inclusive of descendent voices at the SunWatch Village? Our experience over the last several years has been incredibly positive. As you are likely aware, archaeologists and American Indians have not always had a good relationship, in fact in some cases it has been just outright confrontational. When I first suggested to our organization that I wanted to contact the most visible American Indian group in the Dayton area about collaborating on events they were a bit skeptical. In the past this American Indian organization had been critical of activities at SunWatch on multiple occasions. Part of the issues, I think, in the past was a lack of communication. I contacted them, invited them in for a talk, and we are going on our 4th year of hosting their Pow Wow and collaborating on other events including a clothing and school supplies drive for various reservations. So from my perspective it has been an entirely positive experience. How do you currently use Social Media at SunWatch Village? About a year ago we started a Facebook page for SunWatch which was our first, and still only venture into using social media outlets. So far it seems to be a good way to get information about SunWatch and our upcoming events out to our “Fans” who have signed up. It also seems to be a good way for our “Fans” to spread the word. Many of our fans share our updates with their Friends helping to spread the word even further. 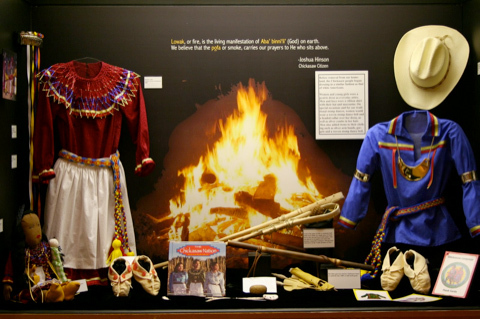 Some of the organizations that help us organize events, such as the Miami Valley Council for Native Americans and the Miami Valley Flute Circle, both American Indian based groups, also have their own Facebook or MySpace pages. So when these groups post info about events on Facebook they are also helping expose more people to SunWatch. What do you anticipate will be the future role of social media at SunWatch Village? Since we are still relatively new to this, and social media is relatively new itself, we are not sure exactly what role this will play for us in the future. For now though it seems to be a promising way for us to reach those who are already aware of us and perhaps many more that are not… yet. 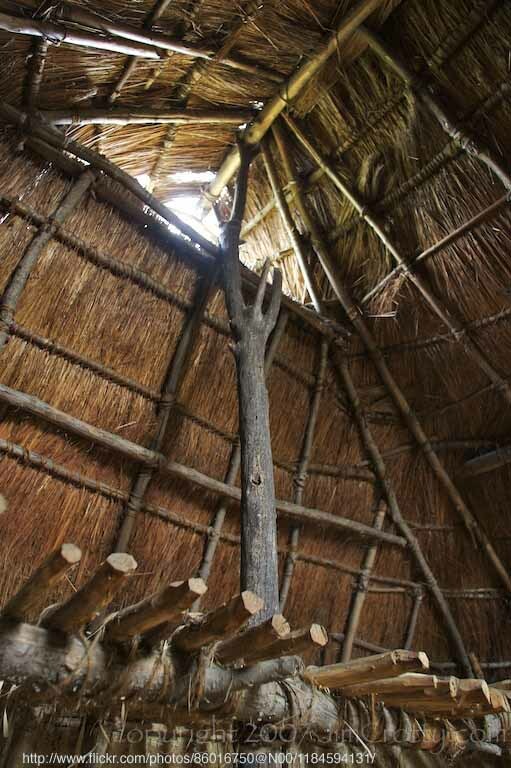 Any wise words of wisdom on how you promote SunWatch Village that other museums or archaeologists might find helpful? Identify your audience(s). As a non-profit we have a limited budget especially when it comes to promotions. Part of what we have tried to do is identify people who we already know will have an interest in our events and finding ways to let them know what is going on. The groups that we have identified include local historical societies, archaeological interest groups, Native interest groups, and others. These organizations typically have newsletters and/or e-mail lists through which they can let their membership know about upcoming events of interest so they can help us promote our events to their members. Last year our presentation series was on Archaeoastronomy so we contacted local astronomy organizations to let them know about the presentations and we had a great response. This year our first presentation was on shipwreck archaeology in the Great Lakes, so we contacted a local Scuba group, and we started off with a bang again. While we still use more traditional advertising/marketing strategies, targeting our efforts in this way helps us make sure we get the word out to people who we know are interested. You can email Andy or visit SunWatch village on-line at www.sunwatch.org or on Facebook. Be certain to check out SunWatch Village when you are traveling through Southwest Ohio. 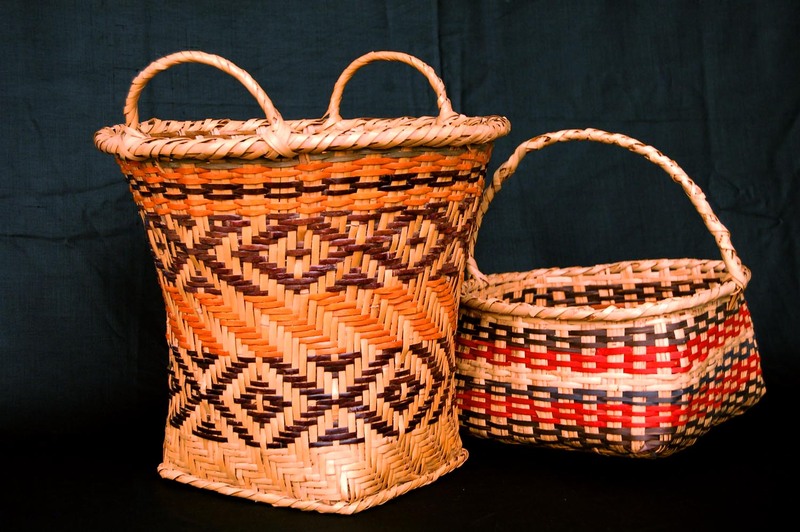 In fact, Southwest Ohio has a bounty of Native American cultural resources from the prehistoric era including the Fort Ancient site and Miami Fort – both open to the public. 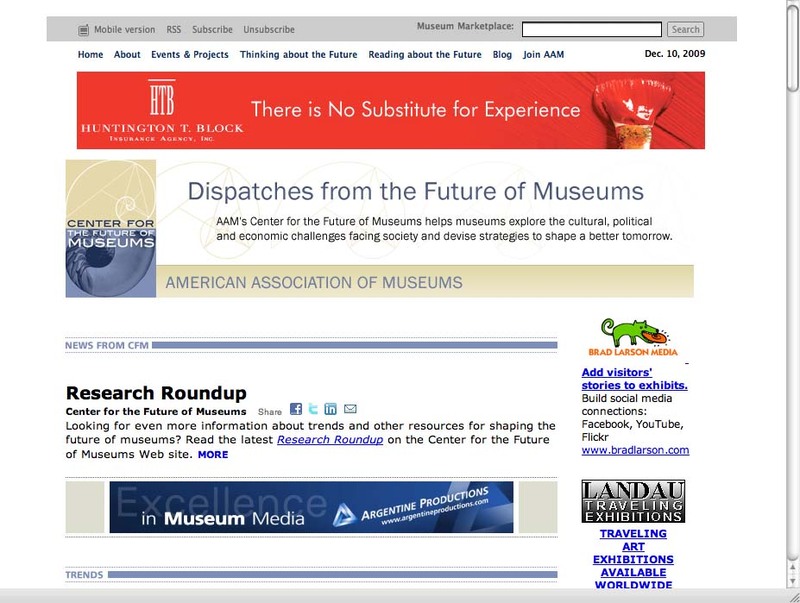 One of my favorite websites to find good things to think about is at the Center for the Future of Museums. Of most utility is the email Dispatches from the Center for Museums you can subscribe to and receive weekly updates. America’s Information Consumption Soars – Article in the San Francisco Chronicle – I found this interesting in demonstrating that the actual amount of information we receive today is dramatically increased with digital technologies. How do we mesh our public outreach with the way folks are receiving this information today? This all reminds me of a free webinar I listened to earlier this year on the AAM website that dealt with Gaming and Museums. The basic thesis was that if we could get youth (and others) to invest the amount of time currently spent in gaming for pleasure on gaming for social good, then the sky is the limit . . . The Use of Handheld Guides in Museums – from Learning Times – I really enjoyed this piece. The handheld/audio tour is an issue we continue to grapple with at the C.H. Nash Museum. We take up at what point are we pushing more interacivity on our visitors than they want? How do we balance different visitor learning styles? All this and more comes once a week to your in box. What other tools do you use to find ideas that are “good to think” about for Public Outreach? Social Media – Facebook, enewsletters, blogs . . . oh my! At the C.H. 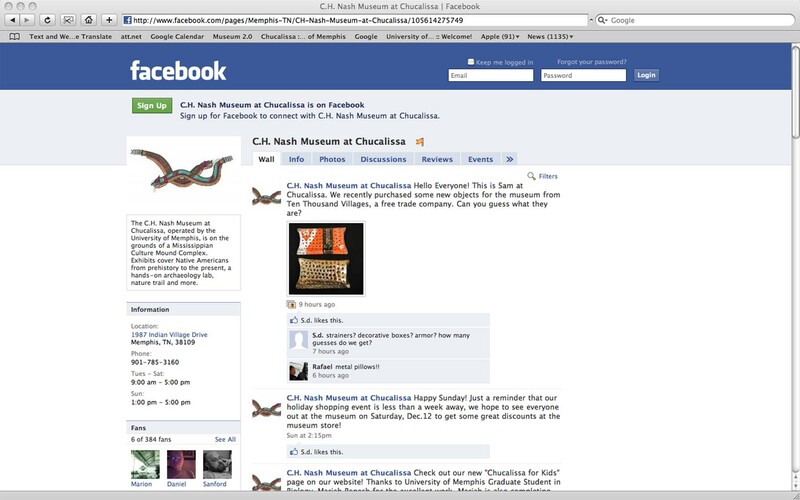 Nash Museum at Chucalissa in Memphis, Tennessee, United States – we are slowly moving into digital media through our website, enewsletter and Facebook page – all with a good bit of success. Perhaps one of the best features of digital media is the viral nature of the process. For example, with our newsletter Chucalissa Anoachi – in two years we have gone from 0 to about 1500 subscribers. The newsletter is also linked in various University of Memphis regular electronic communications that are sent to thousands of additional individuals. The newsletter is linked to our website homepage and Facebook page. We print 50 or so hard copies a month just to have in the Museum. For the newsletter, the total time investment each month to write/produce, load to our website, email the link to subscribers, and maintain the address database is approximately 5 hours. Given the targeted nature of the audience, I am convinced the time and energy of the process is a good use of resources. We are also appreciate that a website, newsletter, Facebook page, and blog should not simply consist of the same material in different formats. Each tool works toward a specific Outreach task of our Mission. What are your experiences with Social/Digital Media? I listen to a lot of podcasts – most often when driving or riding bike. A couple that are particularly helpful to me for public outreach and marketing are Social Good and Digital Marketers Quick and Dirty Tips for Growing Your Business with Digital Tools. Both can be downloaded form iTunes – just search on the titles. Social Good is hosted by the Chronicle of Philanthropy and provides insights on how nonprofit groups can more effectively use social-media to spread their messages and/or raise money. Although the slant is often toward fundraising the tools are useful for any outreach effort where you are attempting to engage the public. Recent podcasts discussed topics included: How to use Facebook to attract supporters; Effective video on a small budget; Creating an internal online culture; Developing online relationships with donors; and Communicating with volunteers online. Each weekly or so podcast runs12-15 minutes. The Digital Marketer is part of the Quick and Dirty Tips suite of podcasts that includes the award winning Grammar Girl. The Digital Marketer focus is just that – how to market, promote, and publicize your event, organization, or whatever through digital media. With over 75 weekly episodes produced to date, recent episodes discussed: Enhancing your Facebook page; The places to get blog post ideas; A bunch of podcasts on Twitter; Using Google Apps and Google Analytics; Building your personal brand online; Tips for making e-newsletters work; Leveraging your rss feeds; and Social media productivity issues. I find that about 50% of these podcasts are relevant to my own work at the C.H. Nash Museum. Each podcasts runs 6-8 minutes. In early November of 2009, I participated in a session at the Southeastern Archaeological Conference held in Mobile, Alabama. The session was organized by Jayur Mehta, an Anthropology Graduate Student at Tulane, and Cassandra Rae Harper, an Outreach Coordinator for the Florida Public Archaeology Network. The session focused on taking Archaeology into the Community. 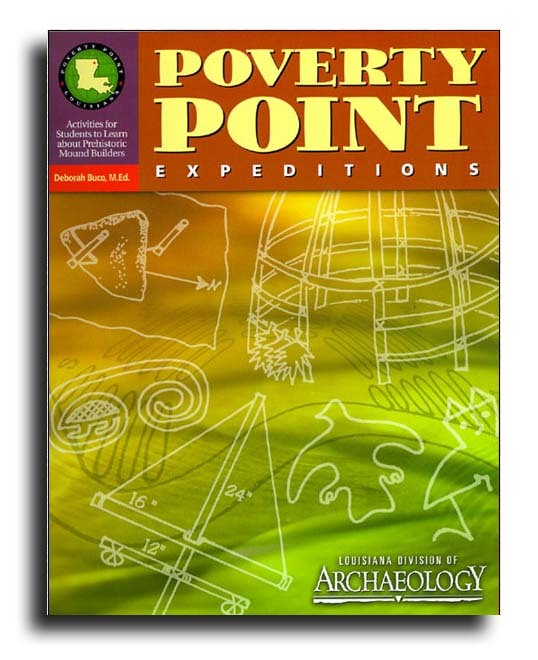 The individual papers addressed a wide range of issues including a traveling ArchaeoBus, site visitor programs, archaeology fairs, museum exhibit development, Native American representation, archaeology in the classrooms, and more. The session was a blast! I learned a lot was able to meet folks with an interest in what I think of as applied archaeology and engaged scholarship – basically a reciprocal and symbiotic relationship between us as museum/archaeology folks and the communities who through their tax dollars are our employers. Besides exposure to innovative and creative ideas, a couple of other things stood out to me about the session. First, ours was the only session at the Conference that directly addressed archaeology or museums as educational resources for the broader community. Second, the first speaker at the session, Nancy Hawkins Outreach Director at the Louisiana Division of Archaeology and a 20-year plus advocate for Public Outreach, commented that it was nice to see “the choir” assembled – noting the small but loyal cadre of advocates for the mission. However, coming away from the Conference, I am optimistic that there are quite a few more singers in the choir in the Southeast United States. When I got back to Memphis, I sent off an email to the session participants. I was grateful for being invited to participate in the session, and as the new kid in the room, had a bunch of ideas. One important idea was that the session participants stay in dialogue, reach out to others, and continue the conversation. This blog is meant to be a part of that process. My hope is that folks will contribute their experiences, what works, what does not work, new innovations, opportunities and so forth . . . but enough rambling, on with the show!